NLL is dedicated to providing a safe and enjoyable baseball experience for our children. 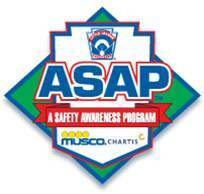 The league participates in Little League's ASAP (A Safety Awareness Program) and has a certified Safety Plan on file with Little League Inc. Questions or comments regarding safety issues should be directed to the league's Safety Officer, vid Walsh. NLL encourages players, coaches, and parents to review the information and training materials on concussions that is available on the Centers For Disease Control website. Click here for the latest information. In accordance with Little League's Child Protection Program, all local leagues are required to conduct a nation-wide background check on managers, coaches, Board members, and other adult volunteers who provide regular service to the league and have regular contact with players. Massachusetts Law further requires that volunteers working with youth sports leagues undergo an additional screening (a CORI check) against the Commonwealth's database of criminal offenders. In order to complete both background checks, volunteers must fill out two forms, the Little League Volunteer Application and the NLL CORI Acknowledgement Form and return these forms to the NLL Safety Officer (Jose Martinez) with a photocopy of your valid government issued photo ID. To coordinate this process, email avid Walsh. The League's CORI Policy is available for review.